»Travel to the Mysterious Hide and Seek Beach in Odisha! Travel to the Mysterious Hide and Seek Beach in Odisha! Odisha, fondly called the Soul of India, is rich in its culture and heritage, making it one of the most visited tourist destinations in India. This culturally strong state also has some of the best beaches in India. Let's explore Chandipur Beach today, which is a one-of-a-kind beach in Odisha. Chandipur Beach is also called as Hide and Seek Beach for its unique properties. Located around 200km from Bhubaneswar, this lesser known beach near Balasore village is a mysterious beach that could get you curious. The rare natural phenomenon here is what makes the beach interesting. If you see the beach one day, the next day you might see the beach vanished, replacing the area with sand dunes. This water receding at the beach happen twice a day, during low and high tides. If you stay by the ebach long enough, you could see the beach disappearing and then again coming back to the shore after a while. However, the locals here are aware of the time of the high and low tides. Another reason that makes the beach worth exploring is that you can find pearls, seashells, crabs and tiny fish on the shore during the times of low tide. This is not something that every other beach offers. The sight of Casuarina trees and sand dunes also call for a visual treat. A trip to this beach will leave you mesmerised on how beautiful and interesting each place in India is. 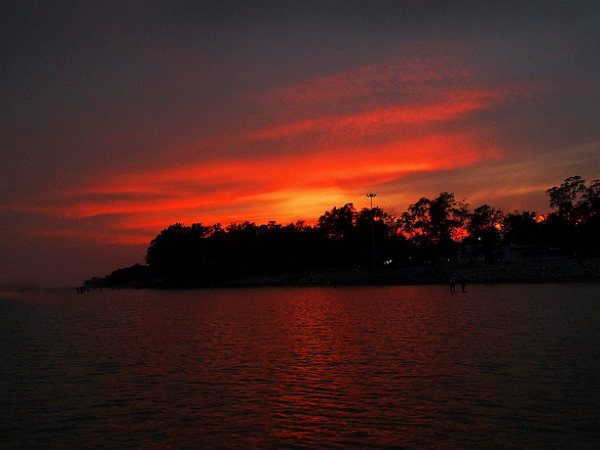 If you're visiting Chandipur beach after noon, ensure that you don't miss the stunning sunset here. The Golden Beach Festival is a significant festival celebrated here. This 4-day festival takes place in December or January every year. Various cultural activities and sports events are held here during the festival. Other places of interest near Chandipur beach include Panchalingeswar Temple, Nilagiri, Sajanagarh, Remuna and Bhitarkanika. Chandipur is well connected to all the major cities in Odisha by road. The nearest railhead is at Balasore which is 17km away from Chandipur. The airports near to Chandipur are at Kolkata and Bhubaneswar. Please leave your suggestions/feedback below.